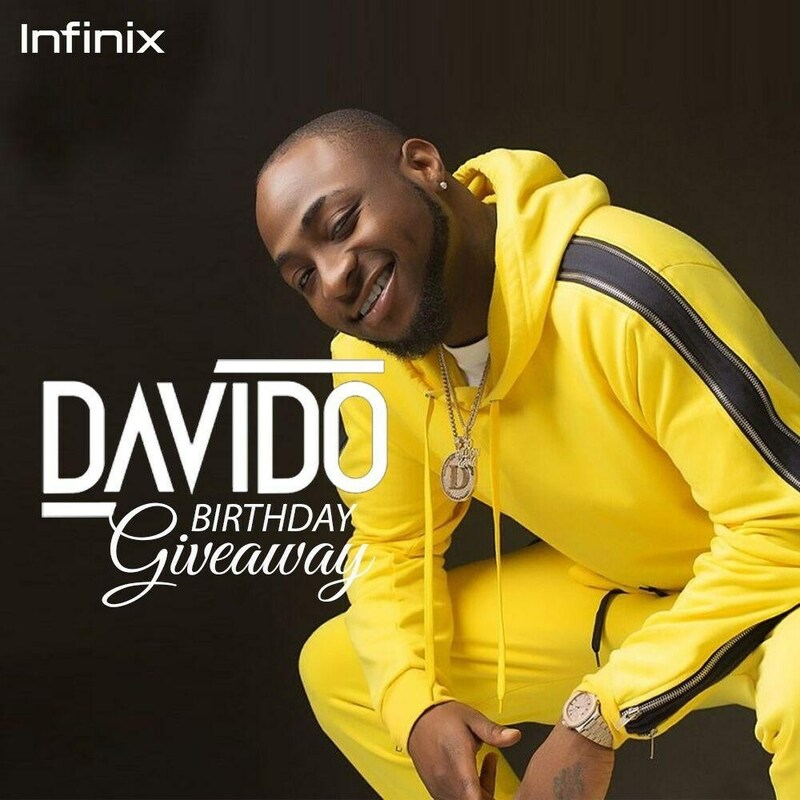 Yesterday the 21st of November 2018, Nigerian award winning singer and ceo of DMW, Davido turned 26 and in the spirit of celebration, the Infinix Brand ambassador has decided to give away 26 brand new Infinix smartphones to 26 lucky winners. The young music star made the announcement on his twitter handle. The Infinix smartphones giveaway would last from Thursday Nov. 21 – Nov. 28, 2018. Giving away the latest infinix HOT 6x to 26 lucky fans to celebrate my 26th Birthday...who wants one??? David Adedeji Adeleke aka Davido was born on 21 November, 1992 in Atlanta, U.S to Adedeji and Veronica Adeleke.